We have a question for you. If we started providing quality hosted VOIP Phone service for competitive rates, would you be interested in using those services? 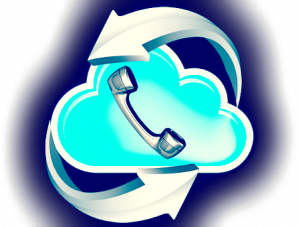 Voice Over IP Telephony is the up and coming way to communicate around the world instead of regular Telephone lines. By utilizing the internet, and SIP trunks, Business phone services can experience a new level of telephone communication with their customers. No longer do you need multiple pairs of wires to handle simultaneous phone calls or the need for expensive equipment on-site to handle paging, transfers, hold music, or call routing, that only decreases in value over time. Using hosted VOIP phone systems utilizes your already in place network, and allows you to mix and match hardware while keeping the same uniform functionality. It also allows you to take your numbers with you wherever you move, as well as provide distributed phone system to multiple locations. Have a remote office? No problem! Have employees that work from home? No problem! The possibilities are endless! We are looking at partnering with VOIP trunking suppliers to be able to provide exceptional VOIP service to clients and individuals, and we are looking for feedback from you as to whether you would be interested in using VOIP or not. Please let us know your thoughts at info@blupanthr.com.